I finally got around to having this roll of film developed but the wait was worth it. 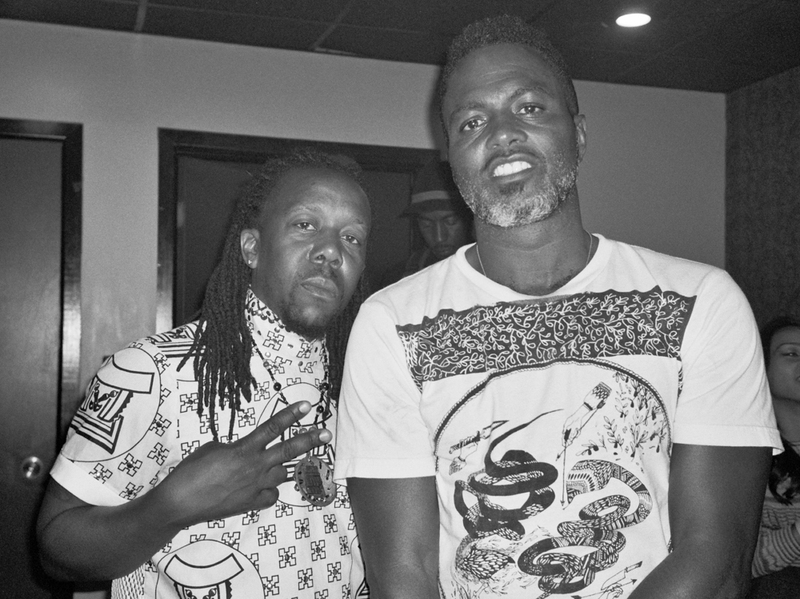 On August 22, Shabazz Palaces performed at the Union Transfer and the show was dope. I love their music and I’ve been a fan of Ish, the emcee of the group, since his time with Digable Planets, yes THEE DIGABLE PLANETS. “Rebirth of Slick (Cool Like That)” and that Blowout Comb album still get love in my ITunes. But dig, the good brother Hezekiah, Philly emcee/producer, hooked me up with a ticket to the show and afterward I got a chance to kick it with the group backstage until it was time to leave. They had the bomb food layout in the back – fruits, vegetables with dip, chips, juice and a bottle of Hennessy that was 3/4’s of the way gone. It’s always cool to meet those that you’ve admired musically when they are so down to earth. At one point, Ish caught me taking a selfie with his glasses. I DID IT FOR THE GRAAAAAM. Before I bounced, I snagged that Hennessy bottle and no I didn’t steal it; they said I could have it. dope pic. i love ish! !